This Post is for Eleanor and Michael Wasley. 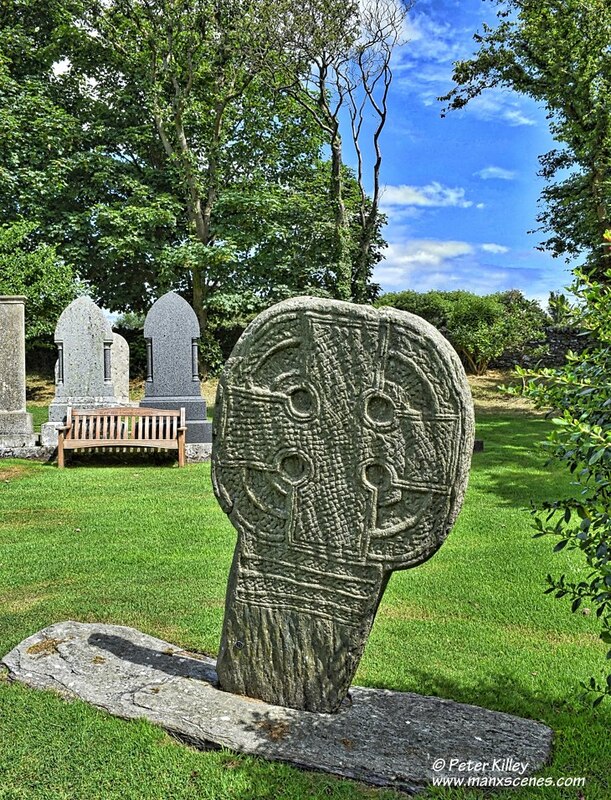 The most spectacular of all of the crosses in the church yard of St. Adamnan’s, still stands in it’s original position at the south side of the church. It stands at 5 feet high (not over 9 feet as described on many websites!) and more than 3 feet across and has a large equal limbed Celtic wheel head cross that is almost completely covered in interlacing, knot work and plait work designs. This stone dates from the 9th or even the 10th century.